Everyone hates packing their suitcase. But have you ever thought of doing these simple tricks? Whether you’re struggling to contain your baggage allowance or simply fed up of forgetting things on your trips, these top luggage tricks will help you out. Fed up of losing your jewellery or leaving it behind? Try using a pill organiser to sort your rings, earrings and other little pieces. To maximize the space in your luggage, roll your clothes instead of folding them. You’ll be surprised by how much more you can fit this way. Put your shoes inside a shower cap when packing on top of clothes to prevent the dirty soles getting on your items. Talking of shoes, if you’ve got extra items like socks, underwear, chargers, belts, etc. fit them inside your shoes for protection and to save space. Protect fragile items and glass bottles by putting them inside thick socks or wrapping them in a scarf. To prevent liquid products from bursting (and ruining everything else) inside your bag, cut a small square of clingfilm, unscrew the product’s lid, set the plastic on top, and screw the lid back on. That way if the lid pops open, no product can spill out. 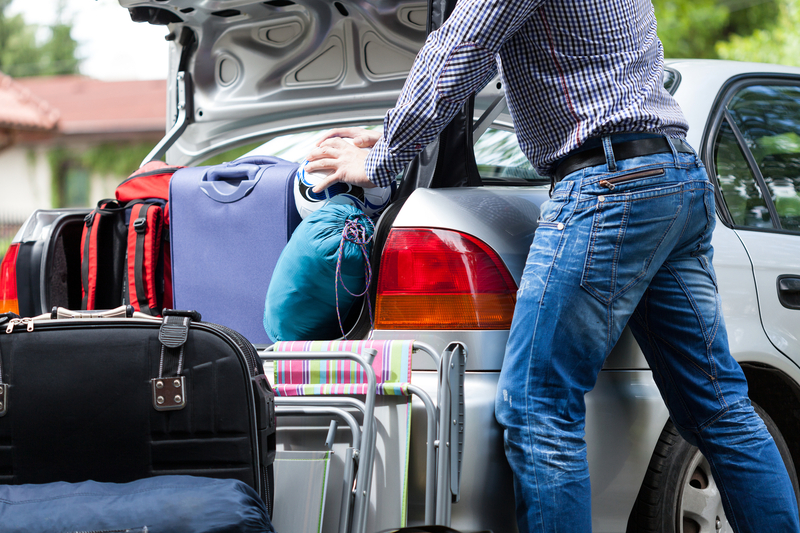 Always pack the heaviest items closest to the wheels when packing a suitcase with wheels. The weight will be distributed to the bottom making it easier to roll. Invest in a luggage scale. Seriously. They’re not too expensive and having a scale takes out the guesswork of whether or not your bag weighs too much. Rather than have a panic at the check-in desk of the airport, it’s much better to weigh at home and take out some non-essentials. If you have a collapsible laundry hamper at home, pack it down and take it with you! When you’re travelling you can lay it over your clothes to keep things in place. During your trip it helps keep your dirty clothes in one place (and off the floor!) then when you get home it’s easy to know what needs washing. Invest in some proper travel gear. Pack awkward shaped items likes shoes, blow dryers, and purses around the outer perimeter, and work your way in. Perfect the use of the nook and cranny: use the odd-shaped cracks between these items to tuck in your socks, bathing suits, and belts. Wear your bulkiest items there and back. Obviously weather-permitting wear your jeans, sweater, coat and boots to the airport as opposed to packing them. This will save loads of space in your case plus dressing in layers offers you the convenience of adding or discarding them depending on the temperature of the plane. Organise your carry-on bag properly for emergencies. Think about what would happen if your main luggage was lost. Have you got all the bare essentials to get by in your handbag? Items such as medicine, glasses, bottled water, suncream, books/magazine and cash/I.D are all important. Holiday Packing Top Tip! Don’t forget to leave room for souvenirs and gifts for friends and family. If there’s a zip-pouch in your case on the inside, try to leave it empty for any thing you may bring home.